Do you know a Jade? Her teacher was rushing one day and forgot to give the symbol to Jade before moving her to a different place in the room. As her chair started moving, Jade reached out and searched her wheelchair tray with her hands. She found the symbol for go, picked it up, and threw it across the room. 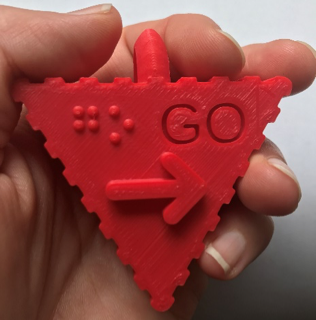 Not the end goal, but certainly an indication of her ability to distinguish the go symbol from others and evidence of her understanding of the use of this conceptual word. 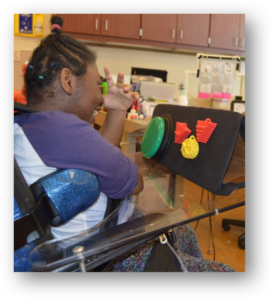 Continued opportunities to practice and build her communication abilities make it possible for Jade to become more and more independent steering not only the direction of her wheelchair but also her communication exchanges with others.